The Design Tweezers are the perfect way to remove excess and unwanted hair on the face and body. They are ideal for use on the eyebrows, upper lip, and bikini line. 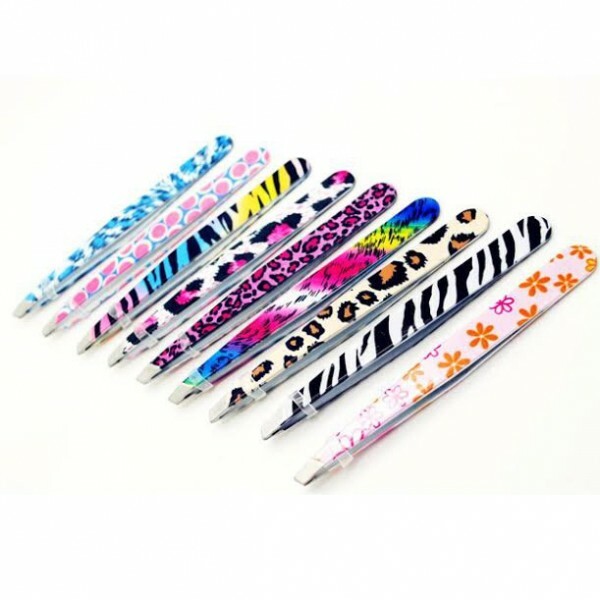 The aesthetics of these fun tweezers is what makes them special; they come in a variety of bright, colourful designs, such as flowers or animal print. They make a welcome addition to any handbag or makeup bag. Their precise slanted design makes depilation simple and easy. They quickly remove even the most stubborn hairs, with minimal pain or irritation. They are strong and sturdy, and will last a lifetime.